Alex Bond opened his restaurant, Alchemilla, in August 2017, bringing with him 19 years experience in the industry. Set inside a converted coach house, the building is an embodiment of their ethos “unique, imaginative, plant based, fine dining”. As you enter the restaurant you are immediately greeted by a large open-plan kitchen where the chefs are hard at work. As far as projects go, Alchemilla is one of the largest projects we’ve done to date. We had a lot of fun with this particular project as it’s given us the opportunity to explore different layout styles and the freedom to try something less conventional. The remit for the website was fairly loose with only a few stipulations we were asked to stick to such as it had to move horizontally opposed to a more traditional vertical layout. The website is laid out to make good use of the photography Alex had commissioned by Fjona Black, and the branding by Jake Howe to reflect the mood and feel of the restaurant. 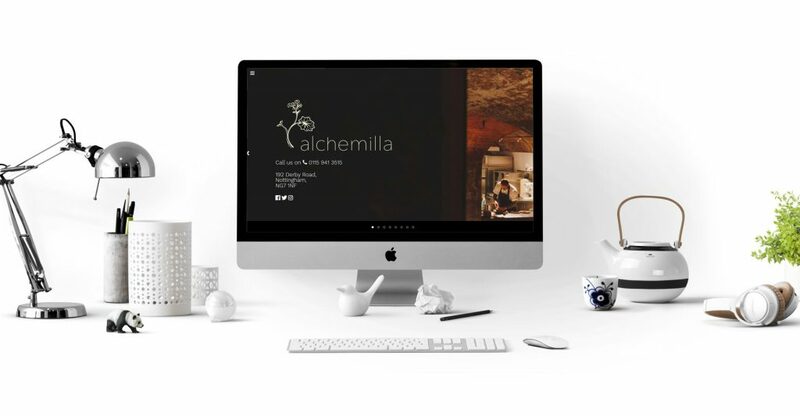 We were also commissioned to create a short video to illustrate “A day at Alchemilla” from when the team arrive in the morning, until when Alex locks up at the end of the night. We use Google Analytics to collect information such as the number of visitors to the site, and the most popular pages. All this information is anonymous and cannot be used to identify you. By allowing us to use these cookies, you help us grow and develop our site!